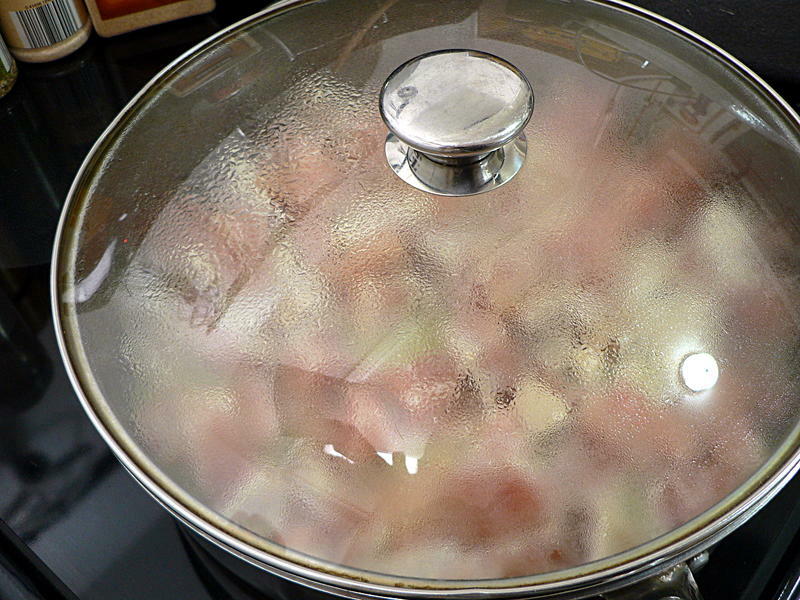 Before you start on the chicken, put a large pot of water on high heat for the pasta. 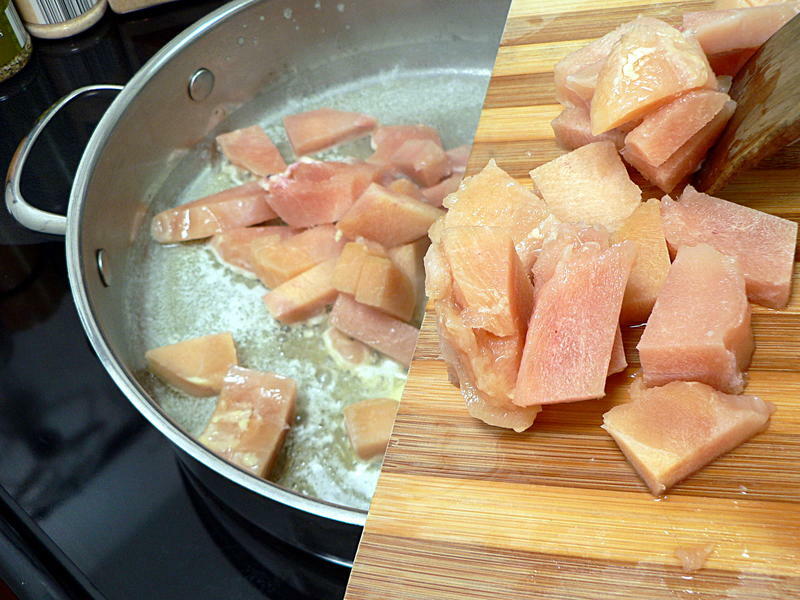 Cut up the chicken into bite sized pieces. 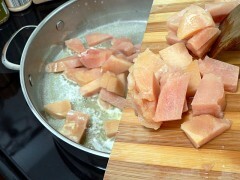 It’s easier to cut if it’s still a little bit frozen. While you’re cutting the chicken, melt the butter over medium heat in a large frying pan. 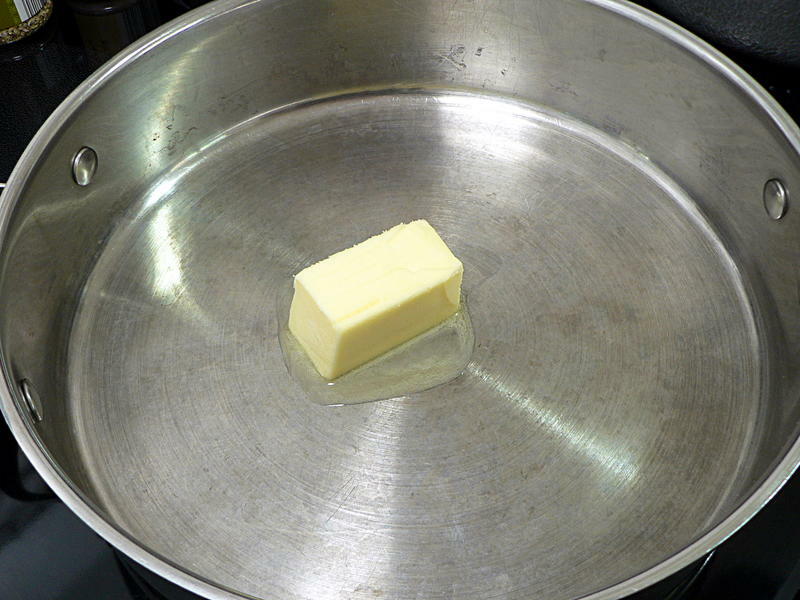 If you don’t have a large frying pan like the one in these pictures , use a pot that’s big enough to hold everything. 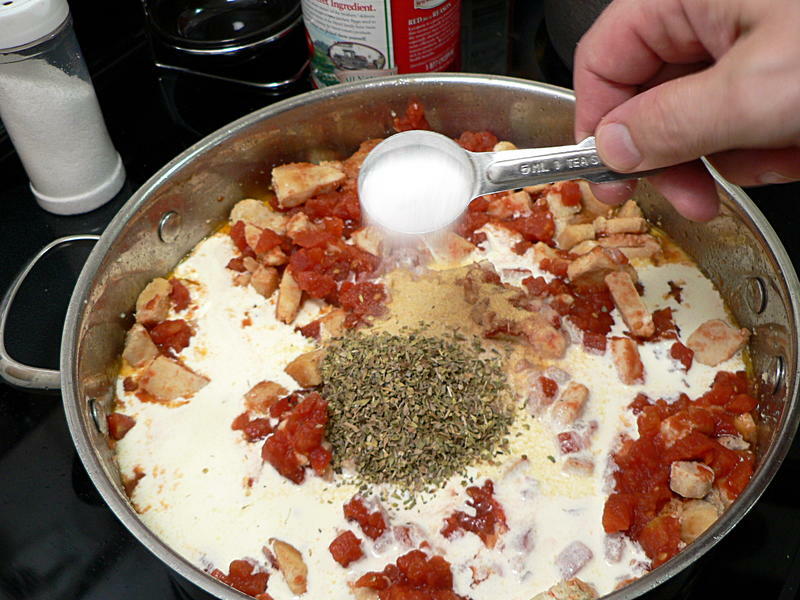 You want it all to end up in one pot when you’re done. 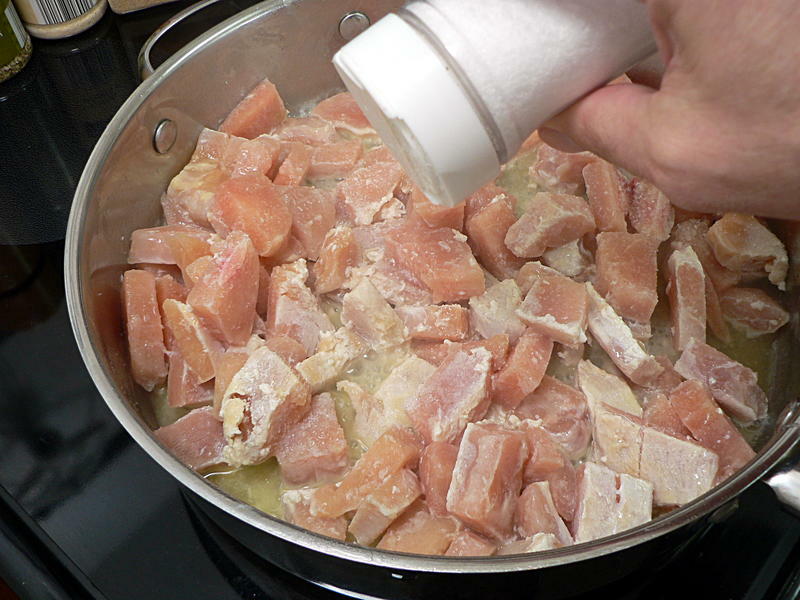 Add the chicken with a little salt, cover and cook until lightly browned. When the chicken is browned, put the pasta in the boiling water. 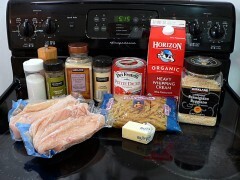 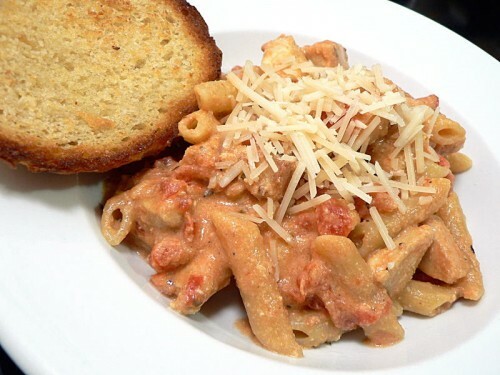 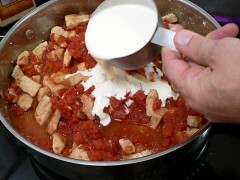 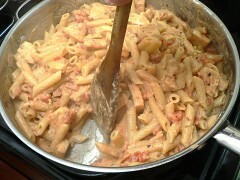 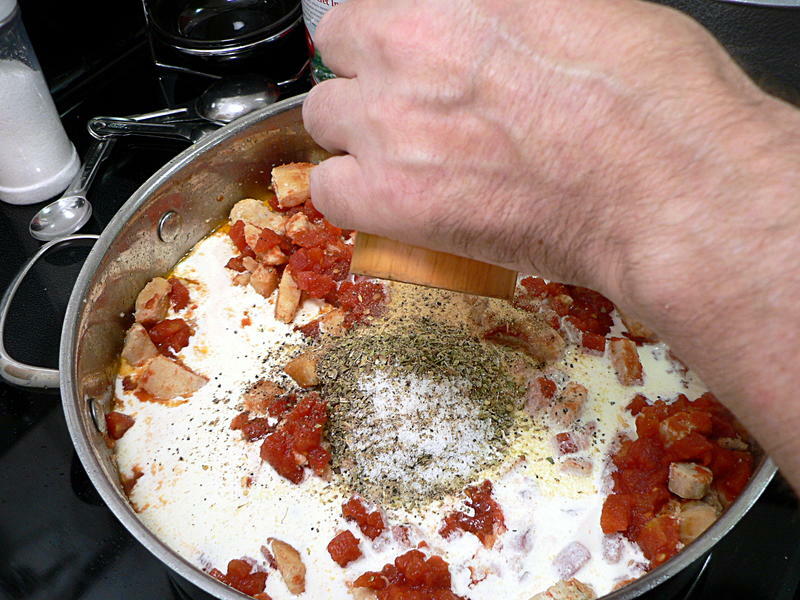 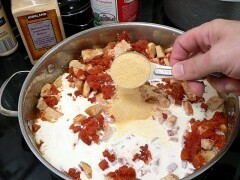 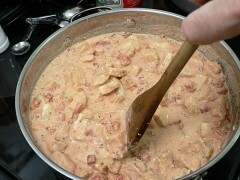 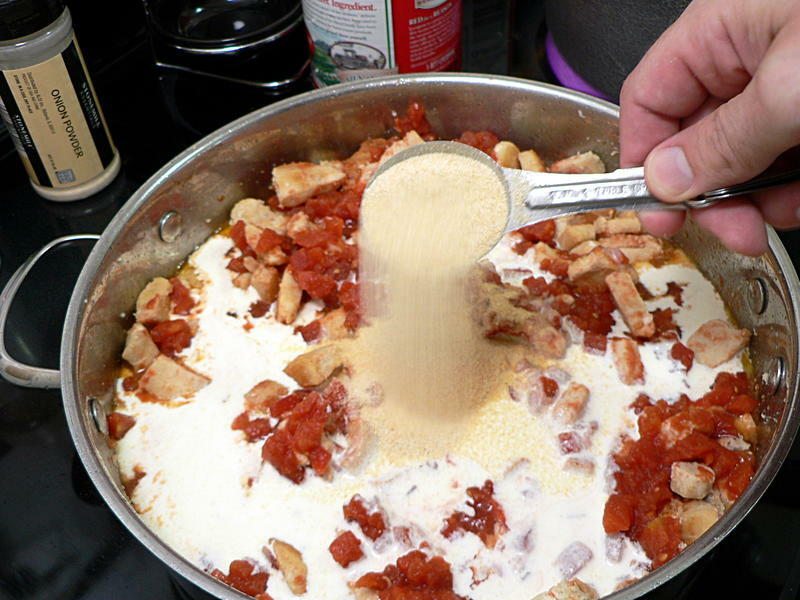 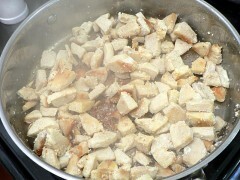 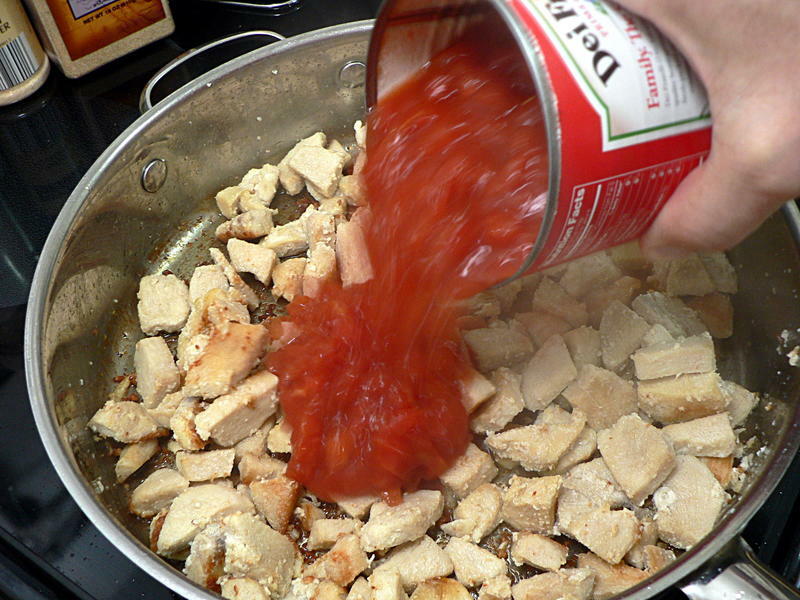 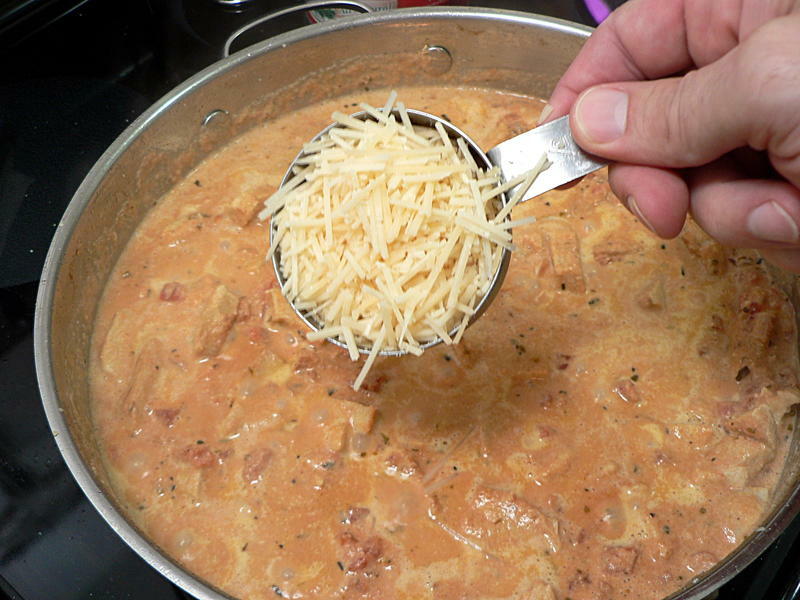 Add to the chicken everything except the parmesan – tomatoes, cream, garlic, onion, oregano, salt and pepper. Stir every few minutes until the pasta is fully cooked, but not mushy. 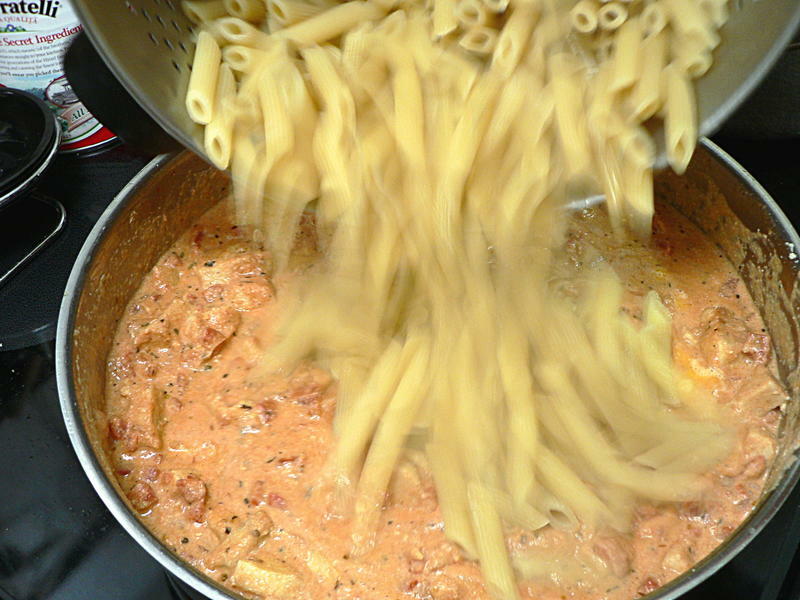 Drain the pasta but don’t rinse it. 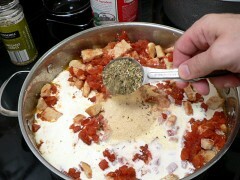 Add the parmesan and the pasta into the pan and stir. Serve with more parmesan on top and a side of garlic bread. Cut up the chicken into bite sized pieces. Melt the butter over medium heat in a large frying pan. 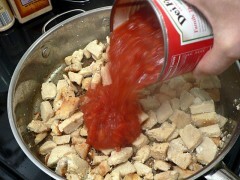 Add the chicken with a little salt, cover and cook until lightly browned. Add the tomatoes, cream, garlic, onion, oregano, salt and pepper. Stir every few minutes until the chicken is cooked through. Add cooked penne and parmesan and stir.